Steve’s breakdown: Funky Buddha Brewery just got some deep pockets but there’s no telling what the plan is unless you give’m a ring or drop’s a note. Find and be part of the zen. VICTOR, NY & OAKLAND PARK, FL: Constellation Brands today announced the acquisition of Florida-based Funky Buddha Brewery. Terms of the deal were not disclosed. Farlie Turner served as Funky Buddha’s financial advisor for the deal. The move is another play into beer’s high-end segment by Constellation Brands, which was best known for Mexican import labels Corona and Modelo, before its $1 billion purchase of San Diego craft brewery Ballast Point in November 2015. Sentz, who founded the brewery in 2010, and his brother, KC Sentz, will continue to run the brewery’s day-to-day operations while working with Constellation’s team. Sales of Funky Buddha beer increased 41 percent last year as the brewery sold 26,939 barrels of beers, according to data from the Brewers Association (BA). 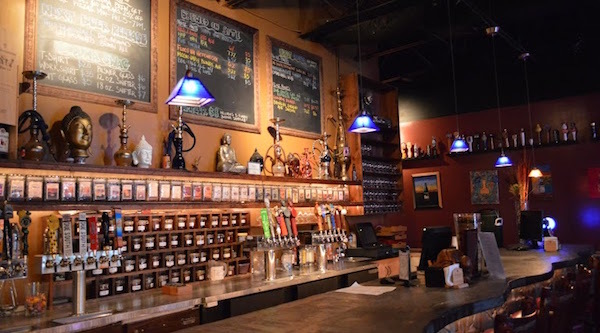 Funky Buddha, which ranked as the second-largest BA-defined craft brewery in Florida, behind Cigar City, is capable of scaling up to 45,000 barrels annually. More details are included in the press release below. VICTOR, N.Y., Aug. 10, 2017 — Constellation Brands, Inc. (NYSE: STZ and STZ.B), a leading beverage alcohol company, announced today its purchase of Florida-based Funky Buddha Brewery, reinforcing its strategy to lead the high-end beer segment in the United States. 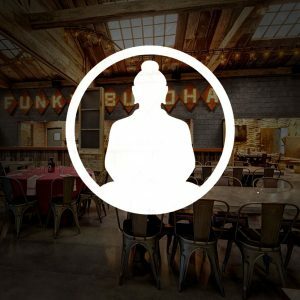 Funky Buddha is the fastest growing craft brewery in Florida, and produces bold craft beers made with high quality ingredients. It has an award-winning portfolio led by Floridian Hefeweizen and Hop Gun IPA. Funky Buddha joins Constellation’s Craft & Specialty Beer Group in the beer division. Funky Buddha Lounge & Brewery was founded in 2010 in Boca Raton, Florida, by husband and wife Ryan and Giani Sentz. As the demand for Funky Buddha’s beers skyrocketed, Ryan and Giani invited Ryan’s brother KC Sentz, and his wife Melissa Sentz, to join the business. In 2013, the Sentz family started Funky Buddha Brewery, located in the heart of Oakland Park’s burgeoning Culinary Arts District. At 54,000 sq ft and with a capacity of 45,000 BBLs, Funky Buddha Brewery is South Florida’s largest craft microbrewery by size and volume, and is Florida’s busiest tap room by beer sales. 2016 was a breakout year for Funky Buddha Brewery, receiving five gold medals in RateBeer’s Best Awards. When it came to the Best Beers by Style, they dominated the Imperial Porter category with three gold medals for Morning Wood, Wide Awake It’s Morning, and Last Buffalo in the Park. Maple Bacon Coffee Porter and Last Snow Coconut Coffee Porter both received gold medals in the Best Beers by Style Porter category. Maple Bacon Coffee Porter also was a Winner of the World Beer Cup 2016 Gold Medal in the Specialty Beer category. And as the engine behind these high-quality beers, the Funky Buddha team was recognized by placing in the Top 100 Brewers category. Constellation Brands and Funky Buddha Brewery’s team of employees will continue to work together, with Ryan and KC Sentz running the day-to-day operations. Funky Buddha’s standard of brewing will remain unchanged, delivering the same culinary-style, creative beer consumers and craft beer enthusiasts celebrate today. Terms of the transaction were not disclosed. Constellation Brands (NYSE: STZ and STZ.B), a Fortune 500® company, is a leading international producer and marketer of beer, wine and spirits with operations in the U.S., Mexico, New Zealand, Italy and Canada. Constellation is the No. 3 beer company in the U.S. with high-end, iconic imported brands such as Corona Extra, Corona Light, Modelo Especial, Modelo Negra and Pacifico. The company’s beer portfolio also includes Ballast Point, one of the most awarded craft brewers in the U.S. In addition, Constellation is the world leader in premium wine, selling great brands that people love, including Robert Mondavi, Clos du Bois, Kim Crawford, Meiomi, Mark West, Franciscan Estate, Ruffino and The Prisoner. The company’s premium spirits brands include SVEDKA Vodka, Casa Noble Tequila and High West Whiskey. Based in Victor, N.Y., the company believes that industry leadership involves a commitment to brand building, our trade partners, the environment, our investors and to consumers around the world who choose our products when celebrating big moments or enjoying quiet ones. Founded in 1945, Constellation has grown to become a significant player in the beverage alcohol industry with more than 100 brands in its portfolio, about 40 wineries, breweries and distilleries, and approximately 9,000 talented employees. We express our company vision: to elevate life with every glass raised. To learn more, visit www.cbrands.com. Founded in 2010 in Boca Raton, Florida, Funky Buddha Brewery® is committed to producing bold craft beers that marry culinary-inspired ingredients with time-honored technique. Its lineup includes year-round brews Floridian Hefeweizen and Hop Gun IPA, along with specialty releases such as Last Snow and the highly sought after Maple Bacon Coffee Porter. Its Oakland Park production brewery opened in June 2013 and distributes draught and bottled beer to retail outlets throughout Florida.